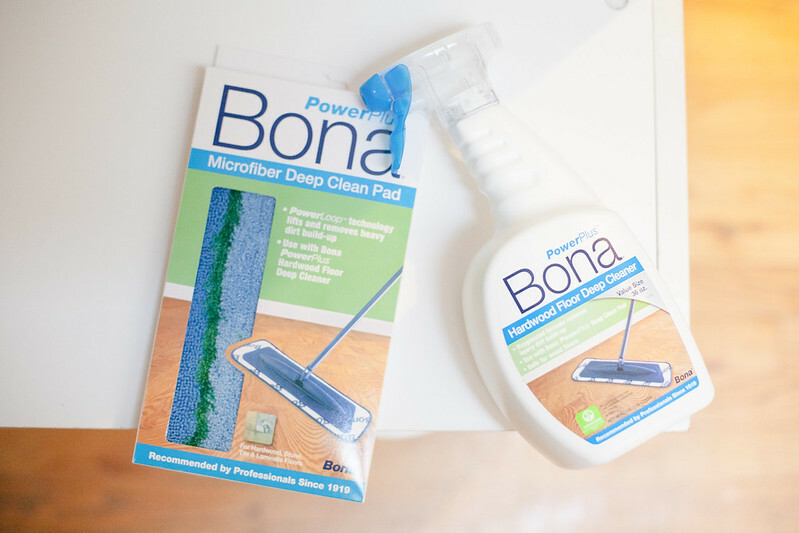 by gillian claire: cleaning my floors with Bona! This post is sponsored by Bona, but the content and opinions expressed here are my own. Grab this $3 off coupon so that you can try out Bona cleaning products for yourself! I don't know about you guys, but I feel like my house gets destroyed during the winter months! It's dark and gray and my kids are stuck inside all day long. My house is little y'all and lately I have started to feel like the walls are closing in on me! Last week I did some deep cleaning and it was a serious breath of fresh air! I was so excited to incorporate my partnership with Bona and their hardwood floor cleaning products into my cleaning frenzy and make my entryway feel a little less grimy and gross! My kids are constantly coming in and out of the house dragging their snowy slushy boots and selves all over the entryway and our hardwood floors needed some help. Ash said he didn't want to be part of my photoshoot until I whipped out this mop and then he was all over it. 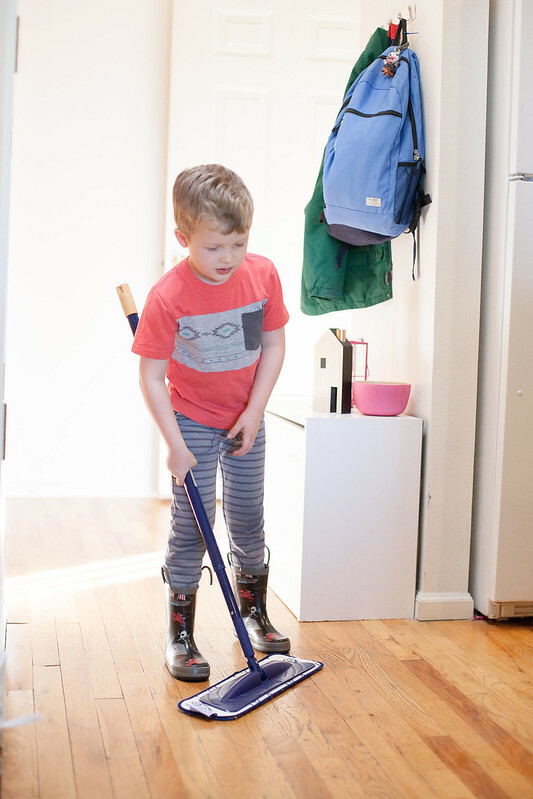 We always call Asher our, "little helper" because he truly loves to clean and help out. It's pretty adorable, and convenient! 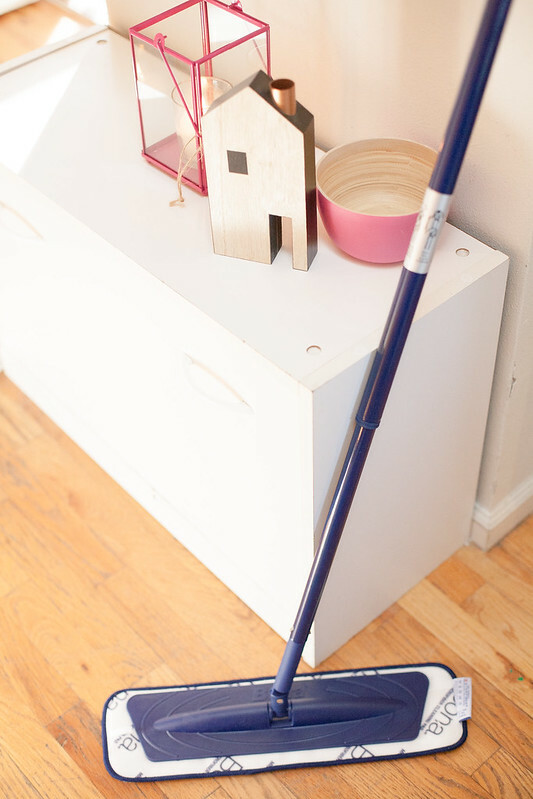 To tackle cleaning my hardwood floors; I used the Bona Floor Mop with their PowerPlus Microfiber Deep Clean Pad + PowerPlus Hardwood Floor Deep Cleaner. I love that Bona offers these microfiber deep clean pads. They stick onto the velcro of the floor mop really easily and then you can just toss them in the wash when you're finished! I'm all about reusable and earth friendly cleaning products! the next time you're at the store! Love that you have a little helper! Makes cleaning a little bit easier I'm sure! This looks like an awesome product. I will have to check it for our wood floors. My house also gets super dirty in the winter, since the nice Florida weather encourages every one to get outside and consequently play in the dirt. I love the natural light in your home! I bet it helps add a level of cheerfulness in the dead of winter. Looks awesome. 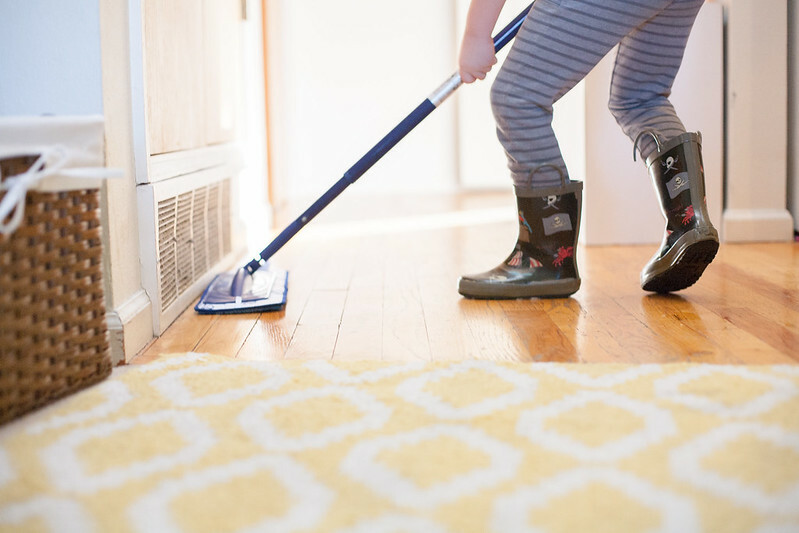 Clean floors make all the difference! I need one of these for my floors! It feels great to see how well the team of Louis Botha helps cleaning floors and tiles and provide a fresh look to the entire home. What else I could demand from the professional cleaners? The swine influenza pestilence has conveyed cleanliness to the front line of individuals' psyches, with organizations and workers alike taking a gander at methods for limiting the spread of the illness.